This myth-busting article which I had two takeaways from. 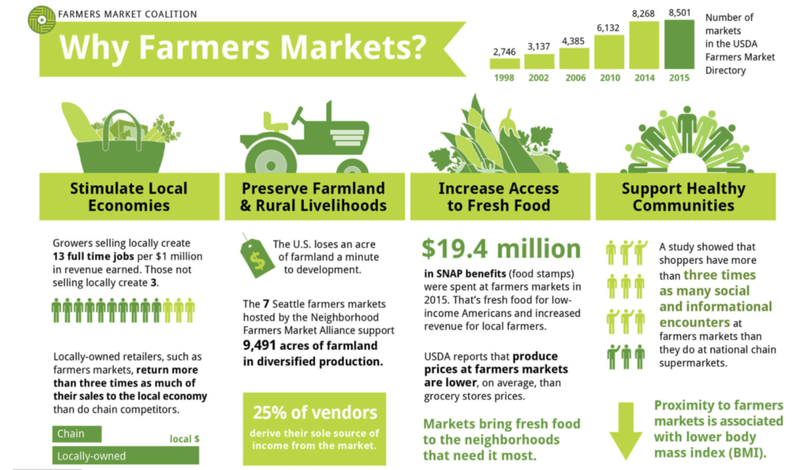 The first citing a study that shows on average farmers markets are actually less expensive than conventional grocery stores. The second is that everything at a farmers market is seasonal, so while your options might be a little limited you know you are getting the foods that are meant to be eaten that time of year!